Pewter robin earrings with red enamel chests dangling merrily on surgical steel hooks. These lovely detailed robins are depicted sitting on a branch. 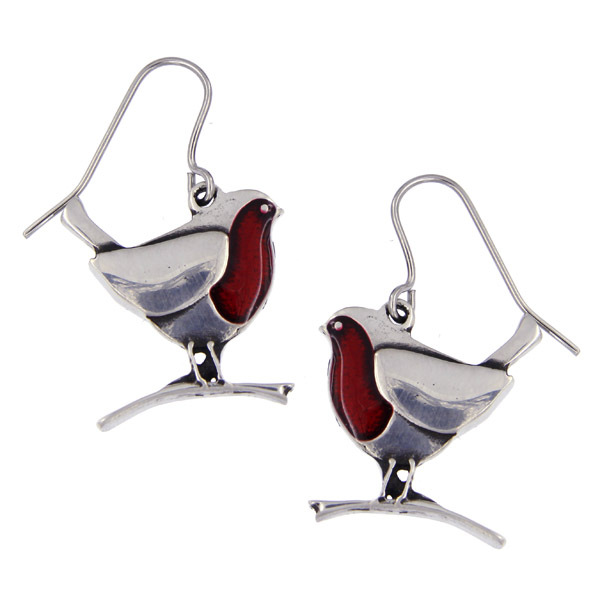 The beautiful red enamel will add an extra bit of Christmas cheer to your outfit!